There has been strange reports of goblin activity on the shard. Some how these strange and frightening creatures found their way into Gaia! Its time to experience Gabboween on the Shard! Get ready to discover new creatures and unlock new Schemas for Gobboween-exclusive armor, weapons, and more! Be sure to check it out when Gobboween begins in Archos and Gaia starting October 27th! 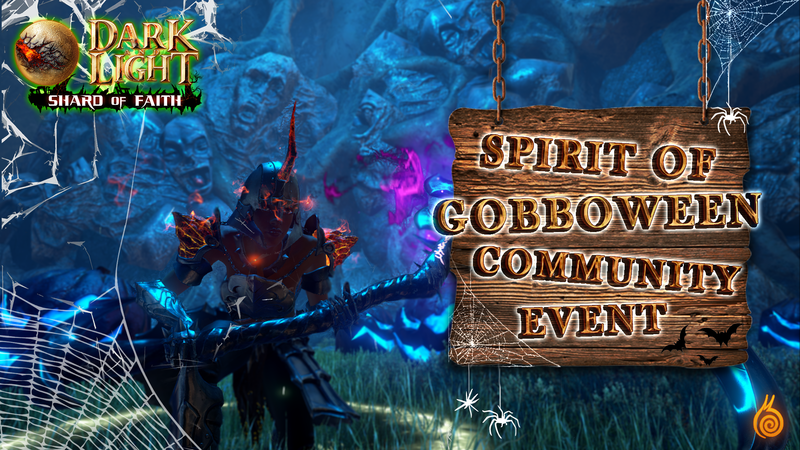 For this event, we’d like Adventurers to submit to us a screenshot that best captures the spirit of Gobboween! Maybe a goblin with a jack-o-lantern upon their head, or a giant pumpkin patch? Feel free to get creative and add text to your screeen shots! The more festive, the better! Get in the spirit of Gobboween and show us what you’ve got! Thread will become available tomoorow at 11 AM PDT. Commentary regarding submissions will be moderated out. The thread will be locked when the submission period has completed 11am PST November 2nd 2018 so be sure to get your submissions entered in as soon as possible for your chance to win! Please include your *full* server name, the region and the number if you’re on an official server, as well as a link to your Steam profile (twitch and twitter handle if you have one) along with your submission. Three (3) winners, will be selected by our community team for their display of the spirit of Gobboween. Each of the three winners will receive a key for DNL to share with a friend! All four winners will receive a Legendary Pumpkin Helm schema, ten Werewolf Transformation Runes (official servers only), and be featured in The next Archos Herald!